Desc: Landstrom's Black Hills Gold Sterling Silver white Cubic Ziconia necklace. 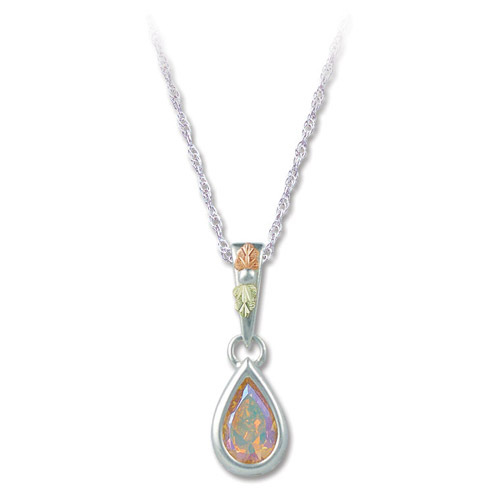 The pear shaped white Cubic Zirconia is bezel set and dangles below the chain as a drop. Rose and green gold leaves are mounted as accents.